Come host your next event at The Vintage Bouquet Bar! We offer private floral design parties for groups of 6 or more! 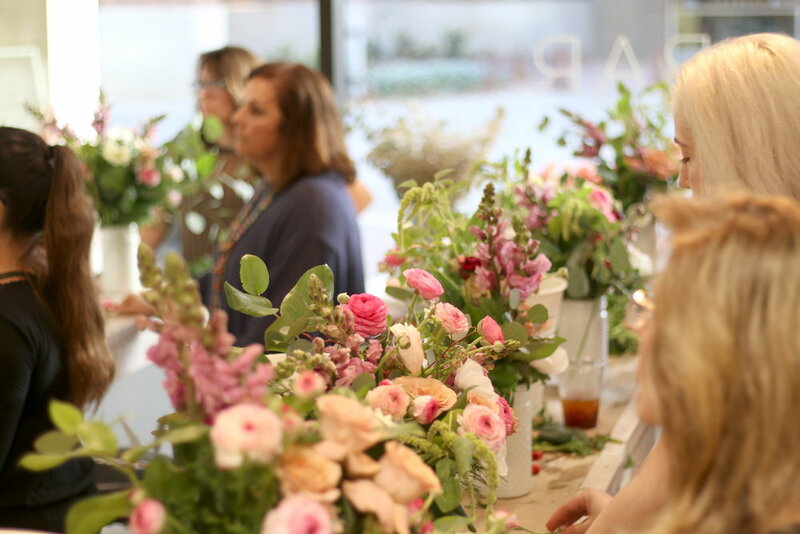 Our classes focus on a fun, comprehensive and garden-inspired take on floral arranging. Our private parties last about 2hrs, which includes time for socializing and indulging in a little bubbly if you so choose! All supplies and florals are provided and each private party has the option to select their floral color palette. INTERESTED IN USING OUR SPACE FOR YOUR NEXT EVENT? Looking for a lovely space for your next party or event? Are you a creative looking for an inspiring atmosphere to host your next workshop? Fill out the details below and we will contact you with available options for your specific event! Available CLASS DATES displayed on the calendar below!